Capt. William KNOWLTON (1584 – 1639) was Alex’s 11th Great Grandfather; one of 4,096 in this generation of the Shaw line. According to this post, much of the story of Captain Knowlton may be legend. William Knowlton was born in 1584 in Chiswick London, Middlesex, England. His parents were Richard KNOWLTON and Elizabeth CANTIZE. He married Ann Elizabeth SMITH 1612 in Canterbury, Kent, England. William died on the voyage to America, probably off the coast of Nova Scotia. In 1839, a headstone was found by a surveyor in Shelburne, Nova Scotia reflecting “William Knowlton, 1632”. Tradition says his widow and children proceeded to Hingham, MA, where it is said she remarried. 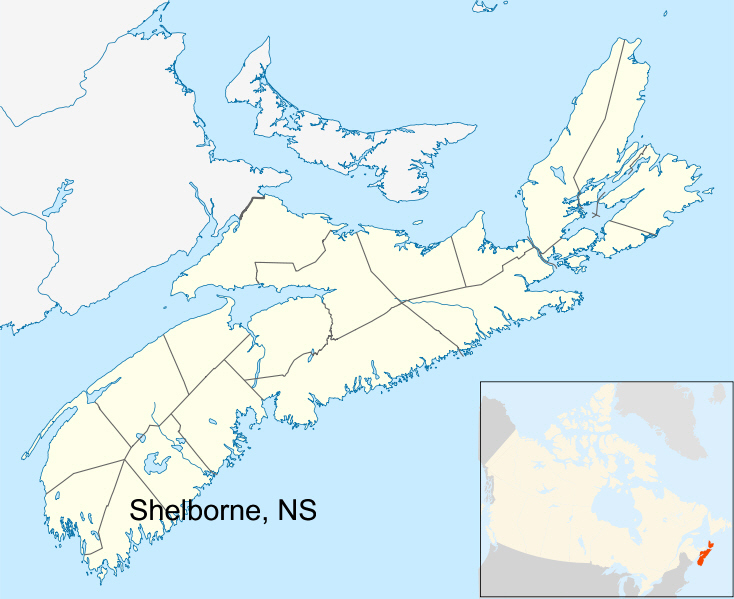 Alternatively, William died 6 Jun 1639 at sea near Nova Scotia, Canada. Ann Elizabeth Smith was born 1586 in England. Her parents were Richard SMITH and Eliza CANTY. After William died, she married Capt. John Tucker 11 Jun 1649 in Hingham, Plymouth, Mass. Ann had no known children by her second husband as her will mentioned only her grandchildren through her first husband William Knowlton and daughter Susanna Ann. Ann died 8 Oct 1675 in Hingham, Plymouth, Mass. 3. Robert Knowlton 1613 Canterbury, Kent, England Elizabeth Rice c. 1638 Canterbury, Kent, England. 1650 Hingham, Plymouth, Mass. 7 May 1660 Hingham, Plymouth, Mass. According to legend, William lived in this Knowlton, Kent Grade I Listed Manor House. 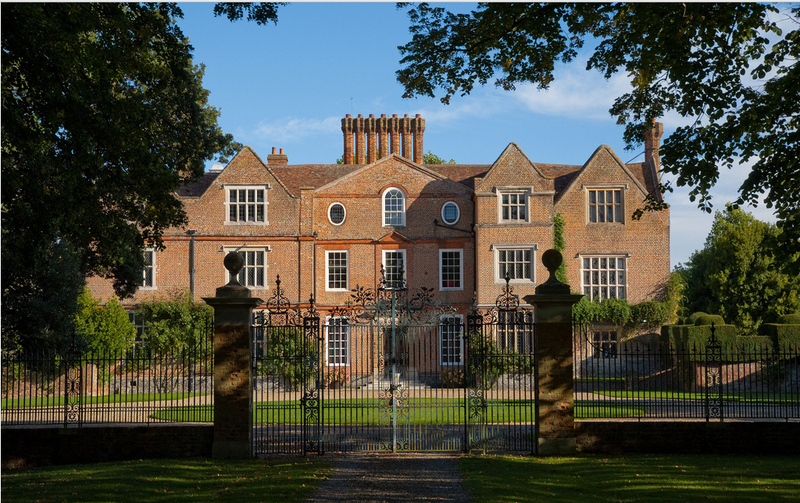 Built by Sir Thomas Peyton in 1585, it was remodelled in the Queen Anne style circa 1715, and further remodelled in 1904 by Sir Reginald Blomfield. The Knowlton Court estate is recorded in the Domesday Book, during which time it belonged to Bishop Odo of Bayeux, the half-brother of William the Conqueror. As no record of Captain William appears in the Customs Department in London, it must be inferred that he was independent in political action and a non-conformist in religious matters. A record was kept of only those emigrants who, upon leaving England, took an oath of loyalty to the Crown and promised conformity to the Established Church. It is believed that William was at least part owner of the vessel in which he sailed for America. As every resident within the geographical bounderies of an English parish was enrolled in its records, no matter what his faith might be, Capt. Knowlton and family were undoubtedly so enrolled at Chiswick. Unfortunately, the old parish church was seized by Cromwell and his troopers in 1645, and used as a garrison. His horses were stalled in its chancel, the men were quartered in the nave, and all the early parochial records were burned, except a small account book of the church wardens. In this book the name of George Nooleton appears as one of a number obligated to pay for repairs on the church from 1619 -1622. Stocking surmises that William died on the voyage to America, probably off the coast of Nova Scotia. In 1839, a headstone was found by a surveyor in Shelburne, N. S. reflecting “William Knowlton, 1632”. Tradition says his widow and children proceeded to Hingham, MA, where it is said she remarried. that the town records of Hingham, MA reflect grants of land and a house lot in 1635 to one William “Nolton”. Probate records show that the estate of William Nolton was appraised 18 Sep 1661 and that his widow, Ann, and grand-daughter, Susanna, were appointed administrators thereof on 23 Oct 1667. On 26 Sep 1668, “Ann Tucker, late wife of William Nolton” presented an inventory of the estate of “the late William Nolton, her former husband”. Widow Ann Tucker died 8 Oct 1675. A Susanna Gilford was grand-daughter of Ann Tucker. Knowlton concludes that the facts strongly favor that this William Nolton was one and the same person as Capt. William Knowlton who, if buried in Nova Scotia, probably died abt. 1639, perhaps on a fishing trip or return voyage to England. Tingley gives them additional children as follows: Elizabeth (m. Theophilus Wilson); Jane (m. a Kenney of Salem, called [—–] KINNEY by torrey); Margery. We believe that the Knowlton genealogy has these correctly and that Tingley is in error, particularly with respect to the Kinneys whom we have studied intensively and for whom there is none to marry Jane. John’s first wife Margary Wilson (Kenning?) was born 1614 in England. . Her parents were William Wilson and Anne [__?__]. Margary died 1645 in Ipswich, Essex, Mass. Marjory has been called a Wilson, but Jacobus thinks she may have been a Kenning and it is known that she was sister to the wife of Theophilus Wilson and to Jane Kenning, possibly a daughter of John Kenning, a relationship that has led to her erroneously being given the surname Wilson (TAG, 35: 17f.). John’s second wife Elizabeth Welch was born 1619 in England. Her parents were John Welch and Elizabeth Goose. Elizabeth died 1688 in Ipswich, Essex, Mass. The wills of John Knowlton of Ipswich and his widow, Margery Knowlton, were proved in the Ipswich court March 28, 1654. The following copies were taken from the records in the Ipswich Deeds, book I, leaf 137, the originals being missing. I the saide John Knowlton being att this present time in perfect memory I make my wife my Executrix & I doe giue vnto Margery my wife my house & land & Cattell with other estate for her use & the bringing of my Children up so long as she lives & after her death the remainder to be deuided half of it to my eldest sonne John & the other halfe of it to be deuided betweene my sonne Abraham and my daughter Elisabeth, & if please God any of my Children do Chang ther Condition it is my desire with the aduice of mr Symonds & our pastor and the overseers and my wife consenting therto that they should impt something unto them according as god shall guide you and I giue to Margery my wife all my household goods to be at her owne disposing onely my shop tooles I giue to my eldest sonne John and some of my wearing clothes to my brother William. 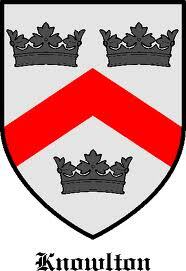 I make mr Tredwell, my brother Wilson and my [brother?] Thomas Knoulton my ouerseers. Theophilus Wilson & Thomas Knowlton sworne testified that John Knoulton was ready to haue subscribed this to be his last will if his wife did accept to be executrix within two dayes which she did & so this is proued to be his will in the Court held at Ipswich the 28th of march 1654. [In the margin of the record, midway is written: “These are beside the Diuision.”] p[ro]ued in Court held at Ipswich the 28th (1) 1654 by the oaths of Theophilus Wilson, Elisabeth Wilson and Mary Tredwell. Samuel was a mariner and although presumed to be in England, was certainly at Hingham prior to 22 Sept. 1655 when inventory of his estate was taken by his nephew John. Robert’s wife Elizabeth Rice was born in 1617 in Canterbury, England. William’s wife Elizabeth Balch Her parents were John Balch and Margaret Lovett. William was a bricklayer, a member of the church. And made freeman in 1641/42. He was given pasturage for one cow, and a shore of Plum Island. On 12 Dec. 1643 he conveyed to Edward Bragg of Ipswich a house and lot which he purchased of John Andrews. The inventory of his estate was taken by Theophilus Wilson and his brother. Thomas on 17 July 1655, showing £37-2-1 in assets and £27-14-1 in debts. On 14 Jan 1655/56, his widow released her dower and conveyed his land. His brother Thomas raised his three youngest children. For some reason, Tingley gives him a second wife Anne [__?__] when it is clear that his widow Is Elizabeth and Tingley does not have the same children as the Knowlton genealogy. Thomas’ second wife Mary Kimball was born 1625 in Rattlesden, Suffolk, England. Her parents were John KIMBALL and Mary BRADSTREET . Hannah died 12 Jul 1686 in Ipswich, Essex, Mass. Thomas had a share in Plum Island. He was a cordwainer and shoemaker, a deacon of the old First Church. Since he had no children of his own, he sent his brother William’s boys to school and cared for a daughter until she married. as well as taking in Nathaniel, his nephew, to live with him. His will of 5 Dec. 1688 settles the matter of his childlessness since all legatees are stated to be children of his brother. After Susannah and her husband died, her mother Ann raised her orphaned grandchildren: Susannah and Paul. This entry was posted in 13th Generation, Immigrant - England, Line - Shaw, Sea Captain and tagged Died at Sea, Hingham. Bookmark the permalink. Apparently the Uxbridge Middlesex marriages and baptism records were recently made available and have established both the parentage of the three sons Deacon Thomas, William and John. The fictional account of “William of Kent” has no factual basis. There are no records in Kent of this gentleman. It’s not his fault — he, of course had died — but a implausible construct of Rev Stocking who wrote a long and fantastic error riddled account of the Knowlton family.